Frontline Medical Communications today announced that its journal, Clinician Reviews (CR), dedicated to nurse practitioners and physician assistants, has been named recipient of the 2018 Nostradamus Award. Annually, National Kidney Foundation’s Council of Advanced Practitioners (CAP) presents this award to an individual, group, or organization that, through forethought and vision, recognizes, supports, and promotes the contributions of Advance Practitioners in nephrology. 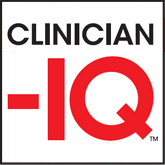 Clinician Reviews is being recognized for its Q&A feature Renal Consult , which provides expert advice to help clinicians address the complexities of renal diseases. In announcing the award, Ms. Clemments noted that Renal Consult aligns with CAP’s goal to improve patient outcomes by enhancing advanced practitioners’ knowledge base and skills that will have a direct impact on clinical practice in a variety of settings. Renal Consult appears quarterly in print and online in CR’s robust, interactive website, digital edition, and mobile app. The National Kidney Foundation is the leading organization in the United States dedicated to the awareness, prevention, and treatment of kidney disease for hundreds of thousands of healthcare professionals, millions of patients and their families, and tens of millions of Americans at risk. Clinician Reviews will be recognized during an awards luncheon at the NKF 2018 Spring Clinical Meeting in April. HTN in CKD: How Should I Be Treating It? Do PPIs Pose a Danger to Kidneys?